The Apache Royale project is a continuation of the previous effort called FlexJS to produce a next-generation of the Apache Flex SDK that enables developers to use MXML and ActionScript to generate HTML/JS/CSS applications which can run natively in browsers. The cross-compiled code can also be used in Apache Cordova (Adobe PhoneGap) mobile applications. This release should be considered ‘beta’ quality. The purpose of this release is to gather feedback about the features and implementation strategies, and to recruit new contributors. We hope to grow the code base into an SDK and tool chain that delivers the highest productivity when developing applications that can run on many platforms. Beta releases may not handle production needs. You can download a binary distribution, the source code or browse our GitHub repositories. 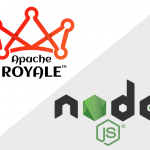 If you’re a NPM user you can check Apache Royale at NPM. As well, you can help us filing bugs in the framework or compiler. For questions about how to use Royale, send email to users@royale.apache.org. 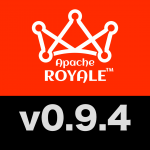 For questions and feedback on the development of the source code in the release, send email to dev@royale.apache.org.